Does insurance cover Couples Therapy? Insurance doesn't normally cover couples counseling. We offer a few different options: pay as you go, payment plan through PayPal, Health Savings Account payment, & discount advanced pay packages. YES! Now insurance can reimburse for couples therapy. All you have to do is complete the reimbursement form that your therapist gives you, take a picture of it, and upload it to the app on your smart phone...and VOILA! The app talks to your insurance and gets you reimbursed. You pay us and the app gets a reimbursement for you. You don't have to pay the app any fees unless they actually get money back for you. Then there's a small percentage that they take from your reimbursement. Better makes filing your insurance claims simple. At our Tulsa and OKC locations, we offer a few different options: pay as you go, payment plan through PayPal, Health Savings Account payment, & discount advanced pay packages. We are not considered "in network" because we don't contract with any insurance providers. So there's no way for us to communicate with your specific insurance apart from the the Superbill. If you would like to see if insurance will reimburse you then we can provide an itemized receipt with all the coding you need for reimbursement. Even if you typically depend on insurance you may want to fully understand how it works. Diagnosis - When filing insurance, health care providers are required to give a mental health diagnosis that NEVER goes away. This diagnosis follows the patient forever even if the patient doesn’t reveal the information to another provider it is on your record and will be found. When private pay is used, no diagnosis is required for treatment. Reporting - There are circumstances that require mental health providers to report treatment plans, diagnoses, and other information ascertaining mental health care. 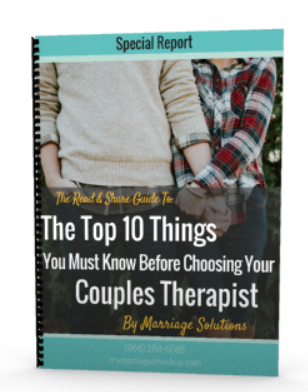 No one knows you have had mental health services except you and your therapist when pay privately for your marriage counseling services. Halloween ideas in Tulsa for 2016! Enjoy Rafting? Adventure? Ropes Courses? And more?! Need a Mother's Day Out? Looking for Fantastic Ideas for Fun in OKLAHOMA in 2014? Need to Wine a Little? Exciting Dates: October FUN! + Kid Friendly too. Relaxing Date: Take a Break & Eat Out in Tulsa!